Keith Shireman, AT for Batesville Pioneers in Arkansas was the recipient of close to $70,000 worth of Mobile Sports Medicine Unit donations. He has a 28 foot “bumper pull” trailer and a new truck to pull it with. This did not just fall in his lap though. He has been building relationships for years in his community and taking people up on their “if you ever need help” offers. 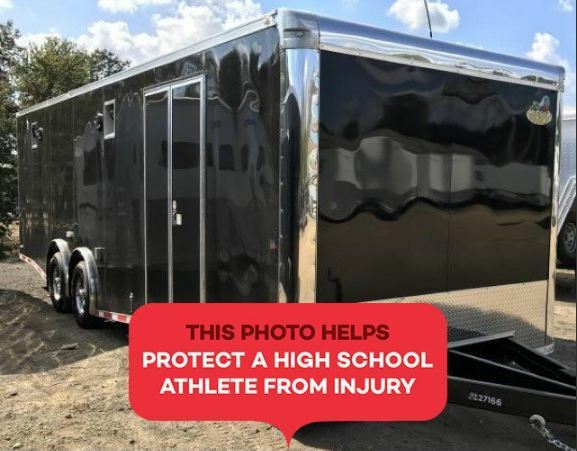 This entry was posted in Orlistat non prescription and tagged 28 foot trailer, Arkansas, bad boy mowers, Celebrex 100mg england, Justin Sports Medicine, Keith Shireman, mobile unit, pioneer, Shawn Ready, trailer on Best way to take zithromax by Host of The SMB.